In the wake of my MacServe Reading Week experience in Hamilton and with Mac Bread Bin’s Feed the Bus campaign currently in full-swing, food banks have been on my mind. Over the course of reading week, our group visited a total of four community organizations that offered food pantries for the public. On Tuesday, we were at the Wesley Centre on Ferguson Ave, which offers programs supporting marginally housed, homeless, street-involved, disconnected and at-risk men and women in the Hamilton community. We spent the afternoon organizing the food pantry in the basement, also known as “the cage”. On Wednesday, we helped out around Living Rock, a centre providing programming for street-involved and at-risk youth – part of this involved learning about their food pantry. On Thursday, we made our way to the Good Shepherd warehouse, which is a centre for drop-off, storage, and distribution of food, clothing, and other goods. Friday was spent in the North End at the Welcome Inn, setting up the food pantry and unloading a donation from the truck. We helped out with the Ancaster Food Drive on Saturday. I think it’s safe to say I’ve learned a few things about food banks during my experience. First of all – they each operate a bit differently. Secondly, they’re all over town, but most of them can be accessed by an individual/family only once per month. This system means that many people have to run all over town every month so they can access each food bank to get enough food for the month. This is not an easy feat for anyone, no less a person who likely relies on the HSR for transportation around the city. This time-consuming process seems kind of inefficient if you ask me. There is some talk about changing this system to allow people to register to their local food bank to access it more than once per month and avoid the stress of traveling everywhere. I think that would be a sensible option for Hamilton to consider. Thirdly, food banks often accept donations of basically anything – but some stuff is in a lot higher demand than others, and that doesn’t always correspond with what actually ends up being donated. Unfortunately, the term “food bank” is very misleading. I think we often forget how expensive it is to have a baby. Or for a female to have healthy hygiene. One box of 200 Huggies costs around $40, and a newborn might go through 10 diapers per day. Similarly, a package of 18 Always pads costs around $4. All of these costs may not seem like much, but it adds up pretty quickly. Suddenly sustainability takes on a whole new meaning. Cloth diapers and Ruby Cups, anyone? Nutrition is another tough thing to maintain when surviving largely on non-perishable food. Consider how it might be to live as a homeless 20-year-old. There’s a chance you sleep in a shelter every night. Everything you own is in a small backpack. Thankfully, you can get breakfast most mornings at the Living Rock, and you can get groceries from their food pantry once per week. But you don’t really have anywhere to cook (or store) your food, so it’s probably a lot easier to survive on boxes of crackers and canned soup (although you might not have access to a can-opener). Our group learned at the Living Rock that there’s often a greater need for donations of foods that are high in protein – like canned beans in sauce – because this could be missed in the diet of a street-involved youth. I guess my point with all of this is that food banks usually have specific needs…but, for some reason, donors don’t usually know what these are. I could go on with more examples, but I think we get the point. So, next time you’re thinking of donating to a food drive, take a second to think about where your contributions are going. Consider contacting the organization to ask what is needed. It may seem like a family pack of Kraft Dinner is more than a package of Huggies or toilet paper, but which one will go a longer way? 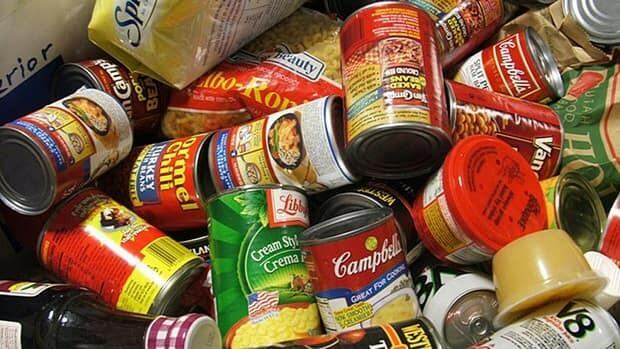 See here for a full list of Hamilton food banks.